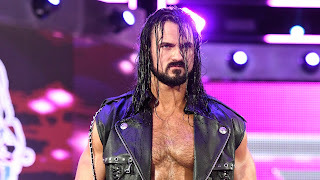 Once deemed as "The Chosen One" by WWE Chairman and CEO Vince McMahon, Drew McIntyre experienced a fall from grace when the company released him in 2014, but he took the time to reinvent himself in other wrestling promotions and it paid off well. Now, in 2018, he is more than active in the roster and the best betting sites on the SBR rating guide will offer odds on his fights, which he's proving time and time again that he'll most likely be winning. Drew McIntyre spent his first stint in WWE as a midcard wrestler from 2009 to 2014. He managed to find some success as a one-time Intercontinental Champion and a one-time WWE Tag Team Champion with Cody Rhodes, but he just couldn't reach his fullest potential and he was eventually released after a failed run with 3MB—a faction of comedy jobbers that included Jinder Mahal (who would eventually also be released and return to win championship gold) and Heath Slater. McIntyre's return to WWE on April 1, 2017, when he was shown on-screen sitting in the front row at NXT TakeOver: Orlando, took place after spending three years proving himself on the independent scene. 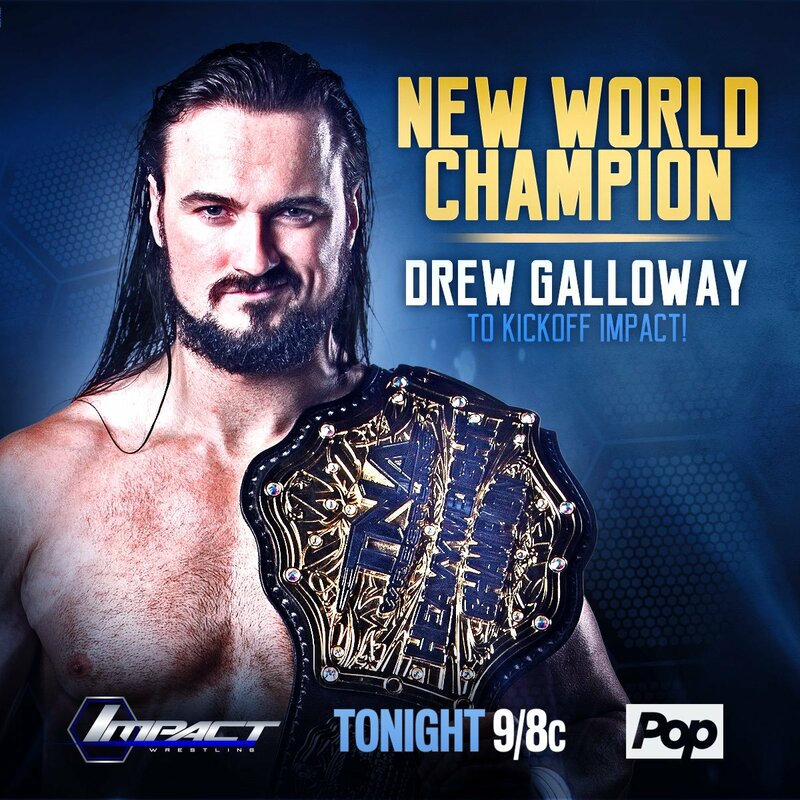 Then referred to as Drew Galloway, his real name, McIntyre picked up several championships in promotions like EVOLVE Wrestling, Defiant Wrestling, Insane Championship Wrestling, Pro Wrestling Guerrilla, Impact Wrestling and many more. This caught WWE's attention and he was poised for a return to his true home and the biggest company in the professional wrestling industry. Instead of coming up to the main roster that he had once competed in, though, McIntyre wanted to go through NXT first because of the brand's popularity and the passion of their fans. NXT was another proving ground for him and he knew it would eventually lead to Raw or SmackDown Live. "[NXT] was what I wanted. I told my wife in the beginning when NXT really started catching fire, 'You know what babe, ideal when I go back there first, if I do my thing here and I get a reputation in the independent scene, then I believe I can get an angle to NXT because it's such a passionate fan base. I think that would be the place for me to go to really show what I can do. And then when the time is right, because the transition is so much smoother from NXT to RAW and SmackDown because it moves so fast. RAW and SmackDown, there's so many hours of unique TV every single week all year round." While on NXT, Drew McIntyre quickly reestablished himself as a legitimate singles star when he won the NXT Championship against Booby Roode at NXT TakeOver: Brooklyn III on August 17, 2017, becoming the first superstar to have previously been on the main roster to win the championship as well as the first Scotsman to do so. He would lose the title to Andrade "Cien" Almas at NXT TakeOver: WarGames 2017 and miss several months due to an injury he sustained during their match, but he returned to the main roster on the Monday Night Raw after WrestleMania on April 9 and he's become one of the hottest stars on the red brand. McIntyre has been booked well. He hasn't lost a singles match via pinfall or submission since his return to the main roster and he has the talent, charisma, mic skills and physique to become a top star in the WWE, but what's next for him? He's already done the tag team thing, winning the Raw Tag Team Championship alongside Dolph Ziggler and feuding with The Shield as part of the stable The Dogs of War, and already, he's back to forming another unit with Acting Raw General Manager Baron Corbin and Bobby Lashley. The time is now for Drew McIntyre to get a proper single run and the opponent I have in mind for him might surprise you. Vince McMahon could make AJ Styles win the 2019 Royal Rumble and face Brock Lesnar for the WWE Universal Championship in the main event of WrestleMania 35, taking inspiration from the promos leading up to their Survivor Series match that was supposed to happen, but didn't. When talking about a rematch with Lesnar, Styles made it a point to talk about how he would make The Beast Incarnate tap out, and plenty of fans would love to see that happen. Then, after The Phenomenal One becomes Universal Champion and heads over to the Raw brand, Drew McIntyre should challenge him down the road post-WrestleMania. A feud between Drew McIntyre and AJ Styles next year would elevate the Scottish Psychopath and make Raw fun to watch again. If dream matches between Styles and McIntyre ever happen, the best betting sites will certainly offer lines for them, just like they do for all major WWE pay-per-views. These two superstars are at the top of their games and if they cross their paths the result will be instant classics and better ratings for Monday Night Raw.